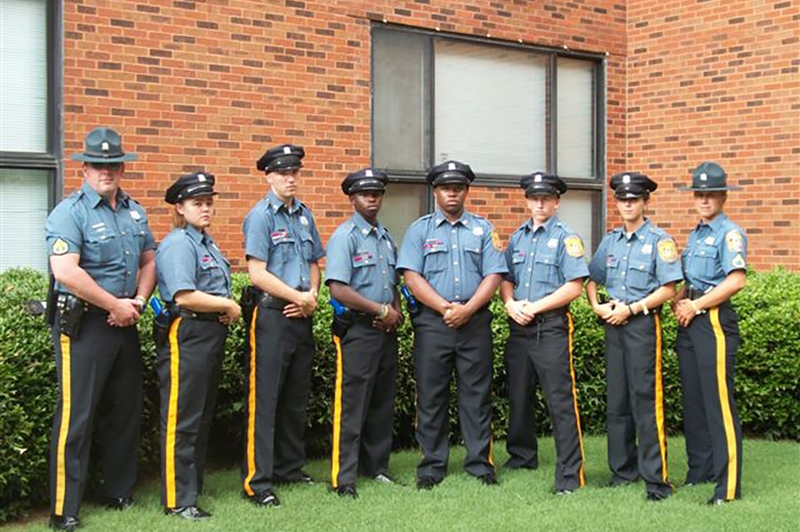 What is the Trooper Youth Program and what do they do? Our program consists of young men and women in 9th grade and above, between the ages of 14-20 years of age, and who have an interest in Law Enforcement. Explorers participate in Community Service events like fingerprinting young children, maintain the missing children’s area at the State Fair, Special Olympics 5k run and Polar Bear Plunge, Punkin Chunkin, and attend many other community related events throughout the State. We teach the Trooper Youth a variety of police procedures including fingerprinting, evidence collection, radar operation, criminal investigations and patrol procedures. We mentor students for a career in Law Enforcement, and provide them with training and opportunities for their future such as Seasonal Police work. We strive to instill leadership, responsibility, commitment and professionalism. Our qualification requirements are: mature, clean cut, clean shaven, 2.0 and above GPA students who have no criminal arrest history. This is not a discipline program. There is a Post at most Troops. Contact your local State Police Troop to find out more about this program and how you could join!